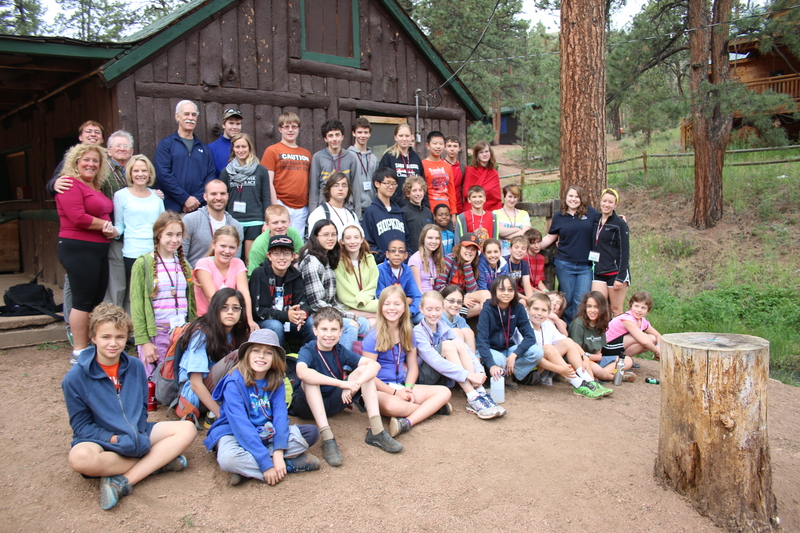 In June, 39 campers from across the country came together for Yunasa West at Camp Shady Brook in Deckers, Colorado, for a week of intellectual, social, emotional, spiritual, and physical growth. The week started off by introducing this year’s IEA program theme: The Common Good. As we talked about The Common Good, campers shared what the theme meant to them and how they thought it would be relevant to their camp experience. They described the Common Good as acting unselfishly, doing things for other people rather than yourself, and behaving in a way that promotes the health of the group, even if one’s own best interest is at stake. We proceeded to establish our rules as a group to prepare for the week as part of a community. Each camper exemplified The Common Good in their actions towards others at camp, respecting one another and making efforts to ascertain that everyone felt accepted. See more highlights from Yunasa West 2014! Four years ago, I sat in the library of my children’s school and said a small prayer. “Please don’t let that happen to us,” I thought. I was listening to a psychiatrist talk about anxiety. He said that during adolescence a child’s hormones can amplify stress and anxiety, causing depression. As predicted, the hormones came, my son’s anxiety got worse and he became depressed. Maybe I should have been more proactive and made choices for my son that would have reduced his stress and anxiety. Instead, we let him make choices that satisfied some of his personal ambitions but exacerbated his anxiety. We let him leave his support system and travel across the country to go to boarding school. The move fulfilled his desire to explore new interests, have new experiences and challenge himself. It also made his undiagnosed depression worse. IEA hosts monthly Gifted Child Parent Support Group meetings throughout the school year. These meetings are intended to provide support and community in the midst of the joys and challenges of raising a gifted child. At the April 2013 meeting, parent speaker Sharon Duncan presented “Gifted Children at Home and in the Classroom.” This post offers a few of the many highlights from Sharon’s talk. 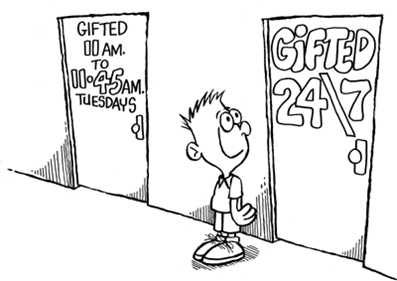 Gifted individuals are gifted 24 hours a day, 7 days a week. This means that innate characteristics of these children appear both at home and in the classroom. The innate characteristics of gifted children appear in both the classroom and at home. Two of these characteristics, as Sharon points out, are perfectionism and intense intellectual interest. Perfectionism is a common trait among gifted children, and it can be quite a challenge to deal with at school and at home for both children and their parents. “Learning to fail and learning it is okay not to be perfect are some of the best gifts we can give these kids,” Sharon explains. She suggests playing games of chance with your children to help them learn what it “feels” like not to win. It is also important to teach our gifted children balance; but as Sharon points out, balance can be very difficult to achieve. Our children have deep, intense intellectual and/or creative interests, and they want to pour all of their energy into what they love doing. While this drive is part of their gift and may lead them to amazing success, they also need to learn how to calm themselves and how not to get themselves into overwhelming situations. Thus, Sharon suggests encouraging your kids to go out and do something physically active when they feel tense or allowing them some down time alone. See our tips on how to help your gifted youth in school here! Selecting an appropriate summer camp for a gifted student requires careful consideration of the whole child. Who are they, and how can they benefit from the summer? There are no standard answers to this. Some students want to spend the summer more fully pursuing a passion. Others want to try something new. And some don’t want to go to camp at all, preferring to read, imagine, work for money, visit family, or more. All of these are worthwhile options. 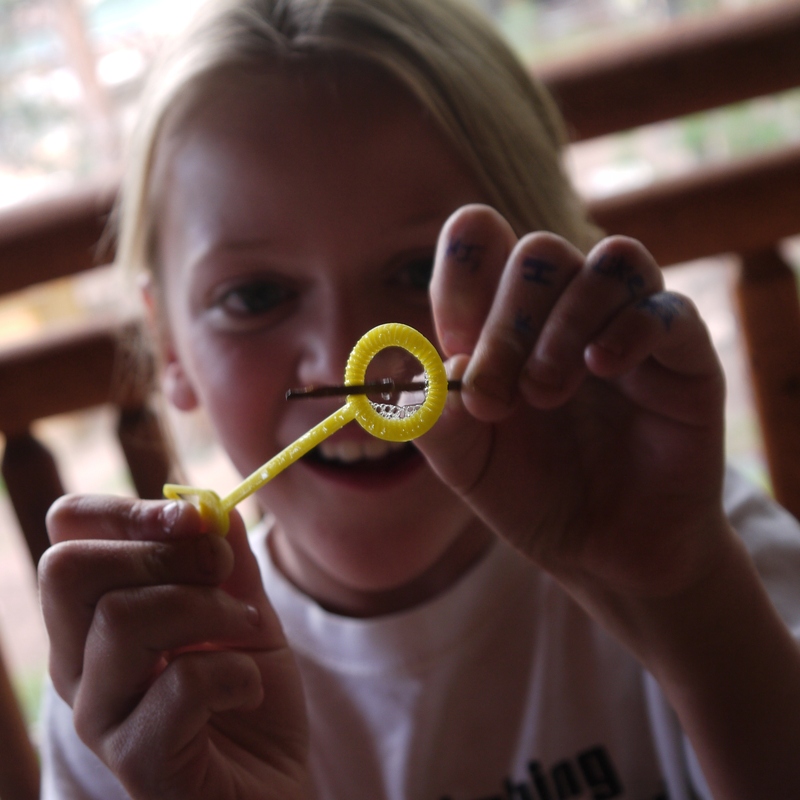 Read more about the right summer camp for your gifted child here! Click here for 2013-2014 Parent Meetings. Gifted children have a variety of unique gifts, as well as a variety of unique needs and challenges. Join the Institute for Educational Advancement as we explore ways to meet our gifted children’s particular needs and learn more about this extraordinary group of young people. These monthly meetings are intended for parents of gifted children to provide support and community in the midst of the joys and challenges of raising a gifted child. My Child is Gifted. Now What? Please RSVP to reception@educationaladvancement.org. If you have any questions, please feel free to contact us. Please invite parents that you feel would be interested. Dates and topics later in the season may change. Please contact IEA for an updated schedule. *This activity is not sponsored by the City of South Pasadena or the South Pasadena Public Library. Want to stay updated on future parent meetings in the Los Angeles area? Sign up for our email newsletters and be sure to fill in your zip code! Which of the following is a symptom of anxiety in a gifted child? The eye twitch and the pacing were easy for me. My oldest son’s eye began to twitch in fifth grade, around the same time he started to disengage at school. Our middle child began pacing in circles around the bathroom in second grade. That was the year that his teacher wrote his name on the blackboard with the word “teacher” before it because she thought he was too bossy. My daughter is the one who fights with me. She is in an ideal educational environment. We fight because I am annoying. If you met my daughter, you would find her to be an adorable, Justin Bieber-loving 11 year old. And she is. She is also super critical of me. According to my daughter, I clear my throat excessively. I use the word “sweetie” when I’m irritated and I make squishing noises when I chew. When I do these things, she tells me to stop. Sometimes she even imitates me. My daughter’s need to correct me leads to terrible fights. I can’t understand why she won’t overlook my annoying behavior. She doesn’t know why I keep doing things that irritate her. Usually, I just walk away. That enrages her. She hates it when I walk away. I don’t tell many people about my daughter’s criticism because it makes both of us look bad. It’s disrespectful. It’s insensitive. It’s evidence of my bad parenting skills. And, according to a psychiatrist I know, it’s a symptom of high anxiety. About a year ago, I was talking with a psychiatrist about anxiety issues of my own. She went down a laundry list of symptoms. At one point she asked me if I get annoyed easily. I said no, and she seemed surprised. She said that highly anxious people are often irritable. Then I remembered my daughter. I thought about how she hates it when her younger brother cracks his knuckles, when her older brother chews ice or when her father talks with food in his mouth. It occurred to me that my daughter is irritable because she is anxious. I am the first to admit that I might be fooling myself by thinking that my daughter’s behavior reflects anxiety instead of permissive parenting because I don’t want to take responsibility for the behavior. Having said this, I can’t escape the genetic component of her anxiety. After all, I’m anxious, and so is my husband. Our sons? Anxious and anxious. Any genetic predisposition she might have received was certainly nurtured by my anxious parenting. Okay, maybe I lied to the psychiatrist. Sometimes I am irritable. Early in our marriage, I told my husband what to do when I behave this way. When I am at my most unlikable, what I really need is a hug. I need some physical reassurance that I am not bad despite my bad behavior. We tried it with our daughter. Or more accurately, my husband tried it. In the middle of a particularly bad fight, he waited for her to catch her breath and then asked her if he could give her a hug. Surprisingly, she said yes. Eventually, she would ask for a hug after she made a snarky remark but before we would get into a full blown fight. Those were hard hugs for me to give. It seemed like I was rewarding bad behavior. It did, however, prevent the fight and hasten an apology from her. She always expressed genuine remorse for her behavior after we fought. I found support for our hug therapy in a blog by Dr. Claudia M. Gold, a pediatrician and author of Keeping Your Child in Mind: Overcoming Defiance, Tantrums, and Other Everyday Behavior Problems by Seeing the World through Your Child’s Eyes. According to Dr. Gold, this behavior has to do with the underdevelopment of the higher cortical centers of the brain. Our daughter didn’t experience early trauma, nor does she have sensory processing problems like the children discussed in her blog. She is, however, intense and highly sensitive like many gifted children. She has almost all of Dabrowski’s overexcitabilities. The way she externalized her intense nature felt like a personal attack, but it was no different from the boys’ eye twitching and pacing. I can’t say that I’m entirely at peace with the way our daughter expresses her anxiety, and if I’m wrong and I am a poor parent, please don’t tell me. I have found a solution that involves holding my daughter close and giving her a squeeze. My hope is that the memories of the fights will disappear and what she will remember are the hugs. In what ways do your children exhibit anxiety? How do you handle these expressions of anxiety? Please share with us in the comment section below. “Raising Successful Children”—who could resist that title? I immediately began to asses my parenting skills after I saw Madeline Levine’s opinion piece in the Sunday New York Times. According to Dr. Levine, parents spend too much time focusing on academic success and not enough time fostering “authentic success.” Authentic success comes when parents hang back and allow their children to make mistakes so that they can develop the resilience they need to handle the difficulties of life. As I considered Dr. Levine’s advice, I was struck by two thoughts. First, what do you do if your child is the one who is overly focused on academic success? And second, when is it okay to interfere in your child’s academic experience? My husband and I faced both of these questions last year. In answering these questions, we came to a powerful conclusion: helping your gifted child develop resilience is a nasty business. Last September, our 13-year-old son left his 17-year-old brother, 10-year-old sister, and both parents to attend an elite boarding school on the east coast. The school had classes and resources that were unavailable locally. As a boarding student, he could devote all of his free time to his studies and extracurricular activities without worrying about family commitments. He even received a scholarship to pay for the tuition. He saw an educational nirvana. We saw the end of our parental influence. So, Madeline Levine, is this where we are supposed to hang back? We did. We let him decide. He didn’t hesitate. We were devastated. The following months were the most difficult of our lives. Our entire family mourned his absence, but that wasn’t what caused us the greatest pain. What kept us up at night was the emotional toll that my son’s decision took on him. He was extremely unhappy. He begged to come home. After every telephone conversation with my son, alarm bells went off in my head. Something was terribly wrong in New Hampshire. By the time our son returned for the holidays, it was clear to us that we needed to bring him home, which we did. The emotional toll it took on him, however, was not yet done. Although he was happy to be home, he was disappointed with himself for not being able to make the boarding school experience work. He worried that his return home would affect his admission to college. He hated being the new kid again at school. His return home marked a new emotional low. Were we wrong to let him make the initial decision to go? Should we have let him fully experience the consequences of his decision to leave home and left him in New Hampshire? Were we wrong to bring him home? According to Madeline Levine, our job “…is to know [our] child well enough to make a good call about whether he can manage a particular situation.” Our son was not able to manage the situation. We decided to say “enough” instead of making him stick with a decision that wasn’t working out as expected. While we wanted to teach him tenacity, we also felt that if we want him to take risks, we also need to help him admit when a choice was making him unhappy. I imagine other parents of gifted children may have the same two questions for Dr. Levine. When we hang back and let our children make mistakes that result from their devotion to academic excellence, the price they pay is the anxiety that comes from failing to live up to their own impossible expectations. The intensities that characterize gifted children only increase the cost of these mistakes. Is this the price of resiliency for gifted children? When do we say “no” to our child’s quest for academic challenge? Strange as it might sound, my husband and I don’t believe we made a mistake by letting our son go away to school. We certainly would have faced other problems if we had denied him such a wonderful opportunity. On the other hand, we don’t yet understand the full psychological costs of his decision to go. The only thing I know for sure is that I want to strangle anyone who uses the word “resiliency” casually. I have spent the last year struggling with this difficult concept. Madeline Levine says my struggles are worth it. I sure hope she is right. Have you struggled with when to say “no” to your child’s quest for academic challenge? Please share your experience with us in the comment section below.